X-Triple Galaxy S5 is a dual and triple SIM card adapter for smartphones Galaxy S5. 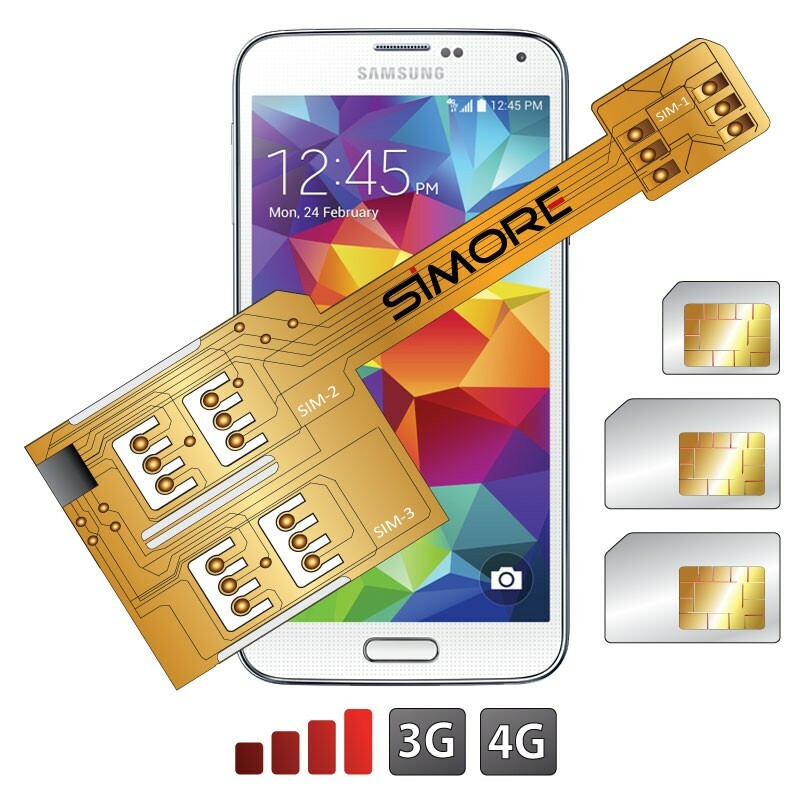 Integrate three SIM cards into your Samsung Galaxy S5 mobile phone. This triple dual SIM adapter allows to have three SIM cards (1 x micro SIM format and 2 x standard SIM format) in your micro SIM smartphone. Helpful for travellers, businessmen, or anyone who uses more than one SIM or phone number (business/private/several countries). Switch manually between your three SIM cards. Internet/data access with all SIM. Separate private life from professional life.